The most beautiful leg of The Tall Ships Races starts for us in the Lithuanian city of Klaipėda. This is your chance to see the best Tall Ships from all around the world not only from ashore, but close up and personal. You'd be able to climb aboard and explore the way the ships are built and operated. After a plethora of events available for all festival visitors, we don our historical costumes and tricorns, set sail and go for the Parade of Sail. And guess what, you can be the one standing by the helm and steering the ship admired by thousands of spectators. 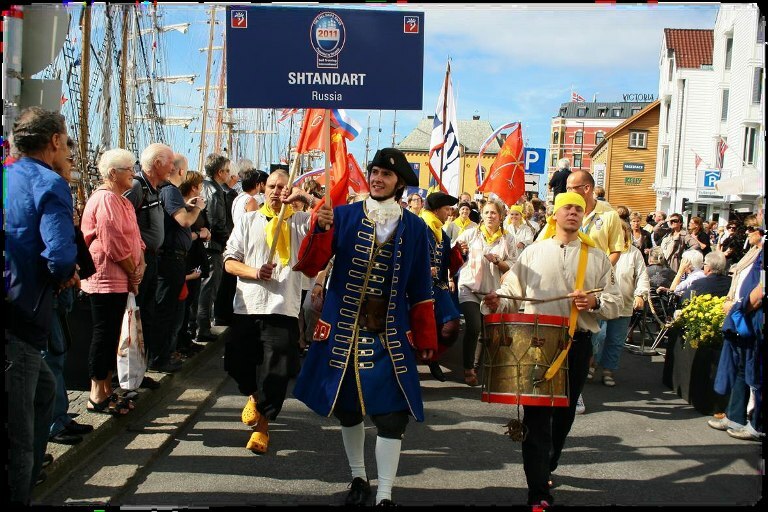 After the celebration ashore and the Parade of Sail, we participate in a race towards the Polish coast. No engines allowed, just the wind, luck, skill and wit. The crew gets to demonstrate their best teamwork, strength and endurance. This is a splendid opportunity to experience the excitement of the race, being a part of a single well-functioning harmonious mechanism and understanding each other from half a gesture. You'll quickly learn to work the rigging, stand the watch at the helm, turn the ship around and perform various maneuvers, avoid the underwater hazards and speed the ship up as much as she can handle. And of course our salty dogs of experienced professional crew will be there to help and guide you. The regatta ends in Szczecin on the Polish-German border. 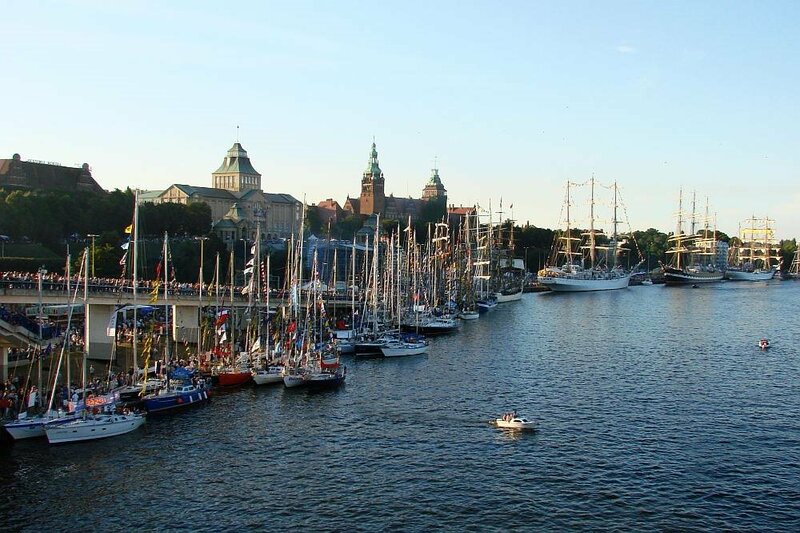 The Tall Ship Festivals in Szczecin are always huge and quite spectacular. The crew enjoys unlimited attention from the locals and the festival administration. The award ceremony naturally continues into a lively afterparty. You can spend your free time taking a stroll along the streets of ancient Szczecin. Szczecin is known as the Greenest City of Poland for the multiplicity of forests and parks. It is not widely known, that Catherine II of Russia was born here. Her old house can still be found at the Rathaus Square. Szczecin is also famous for the Ducal Castle, The Quistorp's Tower and – of course – the largest European port. After the race the tall ships will be home-bound from here till next year.